2. How can I mount the ronin s to a tripod or monopod? 3. How do I mount the ronin s to a car mount if I need to remove the handle? Isn’t the battery in the handle? 4. How do I mount a SmallHD monitor? I don’t see any mounting points on the gimbal. Stastro, thanks for your support to DJI product. Here are the answers to your questions. 1. DJI Focus is not compatible with Ronin-S, we will release its own Focus Motor Lite very soon. 2. 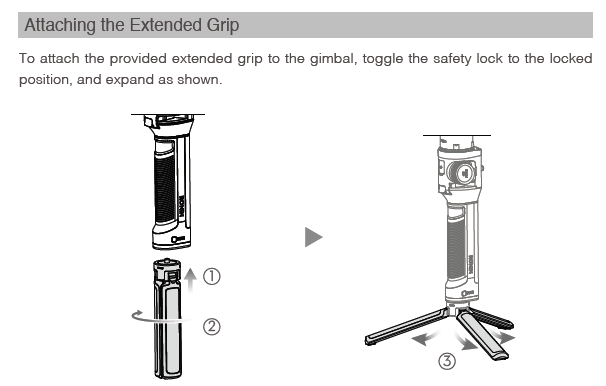 Ronin-S comes with the Tripod, here are the steps to mount the Tripod. 3. 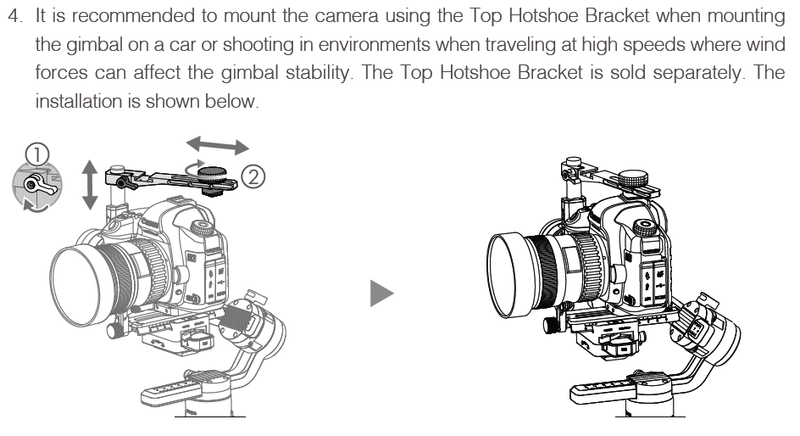 It is recommended to mount the camera using the Top Hotshoe Bracket when mounting the gimbal on a car, then adjust the Stiffness value manually after the AutoTune is complete. 4. It is available to mount an external monitor to the Ronin-S. All you need is an accessory mounting plate, we&apos;ll release on our website as long as it is available, thanks or your patience. 5. Sorry that the APP is different, it will not be merged temporarily, sorry for the inconvenience. Do you have any informations on the external focus motor? I don&apos;t see any informations on it and no one from dji.com seems able to communicate a date for the release or a price. This is a very important feature if you want to be able to use it with others cameras and manual lenses, not listed compatible with the internal focus system. I&apos;m thinking of buying the Crane 2 which has already this feature available if Dji don&apos;t release more infos on this. Would be a shame because the Ronin-s seems better on all others aspect! 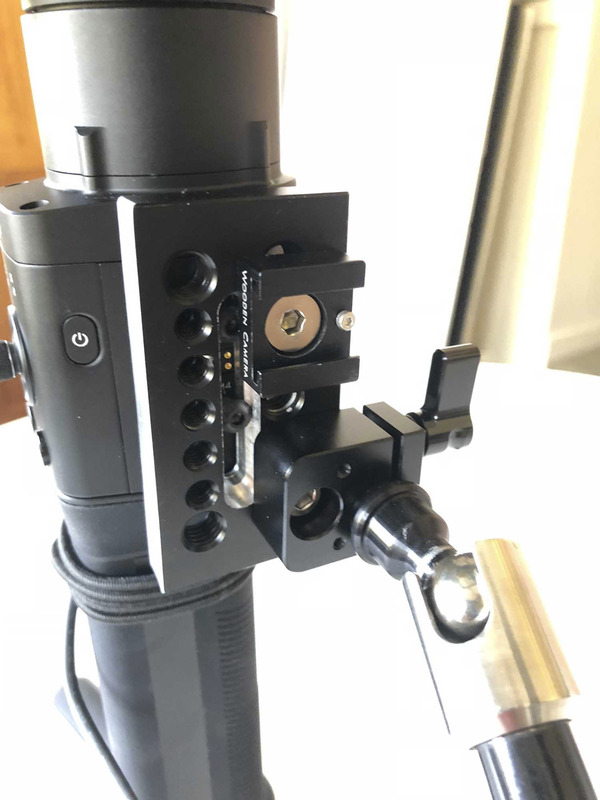 1. you need to attach it to a 15mm rail that should connect to a baseplate on the camera with a rail system like the one in the picture. 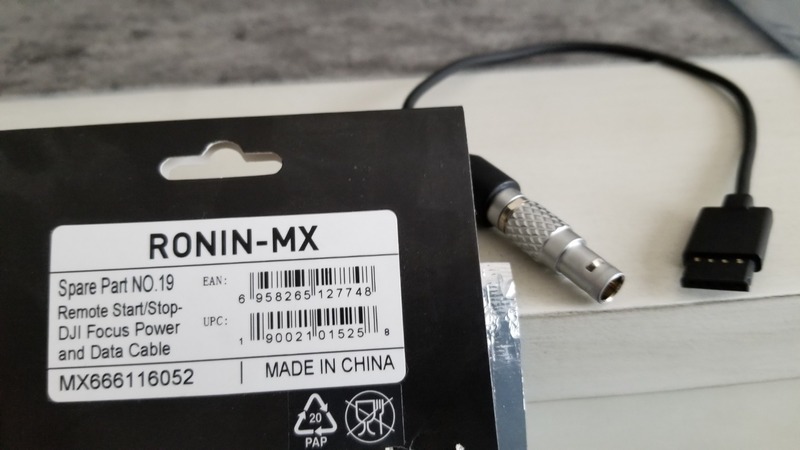 to actually connect the motor to the ronin-S you need this cable, it&apos;s a LEMO to RSS to connect the motor individually to the ronin handle. Note* this will not work unless you update the focus motor firmware which can only be done with the Focus remote. While they made this option available, Dji has stated they have intentions of creating a new focus motor lite system intended for the Ronin-S, not really sure when they&apos;ll release it, but it is coming. 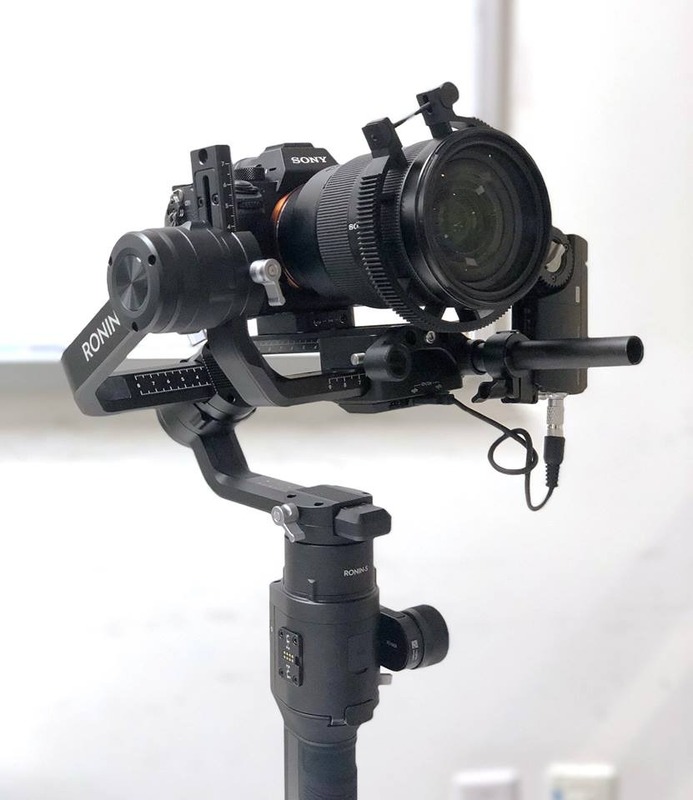 2. the battery grip of the Ronin-S has a 1/4 20 and 3/8 mounting holes on the bottom of the unit, you can attach the provided mini tripod or mount a quick release plate to the bottom of the battery and mount the entire unit to a tripod if needed. 3. Car mount options are considered future accessories and are TBD, you could attempt to mount it to a car using the aforementioned mounting points on the bottom of the battery in conjunction with the 2-4 M4 screw mounts on the side of the gimbal but this would be at your own risk and not yet recommended. As for powering the unit without the battery grip, this is not yet supported in the current firmware, you can turn the unit on, via USB-c, to update firmware or connect to pc but it doesn&apos;t provide enough juice to power the motors. 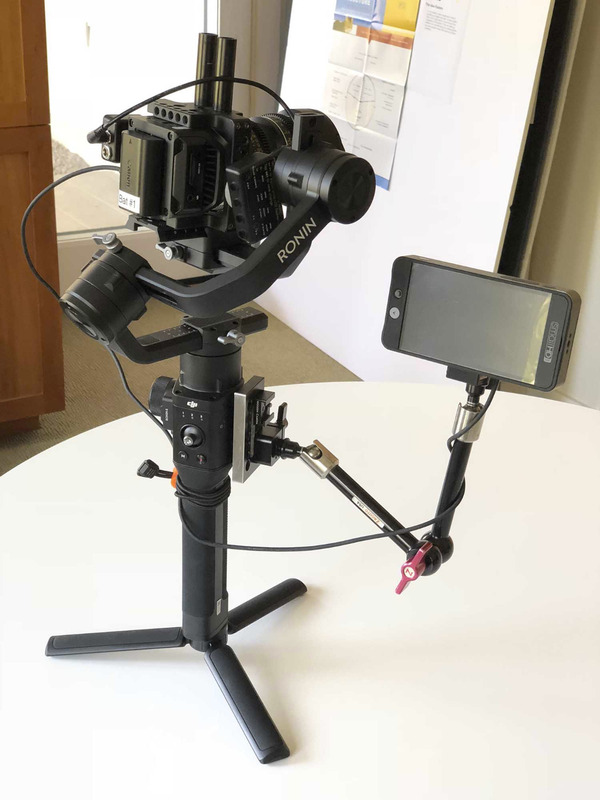 Future accessories should allow the top gimbal to mount to future baseplates that supply power via alternate methods. As for when that&apos;s released, you guess is as good as anyones. There&apos;s talk of official Dji accessories coming, cheese plates and additional mounting options but seeing as they&apos;re struggling to fulfill all the Ronin-S orders I can&apos;t imagine the accessories being announced and available anytime soon. The beauty of the camera industry is 3rd party companies are always available to create and expand on gear, we just have to wait for it to be released. Hope this helped, enjoy your Ronin-S! All in good time brother, I agree that controlling manual lenses will be a huge asset in the future, they do have intentions of releasing a focus motor intended for use with the Ronin-S but seeing as they&apos;re struggling to fulfill the Ronin-S orders I can&apos;t imagine accessories are in the immediate future. If this is something you absolutely need now the crane 2 option might be a better fit for you. However, if you can wait, I believe the Ronin-S to be the superior gimbal with a more professional build and professional ports for future accessories, so when it&apos;s all said and done, you&apos;ll have more functionality with the Ronin-S. A third option, if you have the cash to spare, would be to buy the DJI Focus system that has a currently supported focus motor. The reason you need the entire kit is to update the motor Firmware, this can only be done with the focus remote. This is not a cheap option at $1,300, but it will give you immediate access to a focus motor compatible with the Ronin-S. Thanks a lot for you answer! Very useful. Just one question. If I buy only the focus motor from the DJI focus system and the cable, can I get the remote from someone else and update it from there? Is there any way to get documents like this on the official support pages or some sort of Pro-Support section? Keep getting roadblocks in trying to diagnose and/or work with DJI on issues with the Ronin-S, no proper communication lines–the regular support is just not made for &apos;hollywood&apos; level production work. We&apos;ve worked with Red directly in the past, even influenced products, even had their guys fly out to work with us. not asking for that level of support, just at the very least a contact. Freefly also does this (and happens to be local). Do you know the name of the company that sells the bottom handle on the second picture? Thanks. i didnt send that picture above, but i have a similar setup. my side handle is made by Zhiyun. i paid about 40 dollars for it on ebay. hope that helps. Good idea - it&apos;s on Amazon UK. I just bought one until DJI sort out something more elegant. Bought the Grip too, Thanks to your help guys. Waiting for the Ronin-s.
Just got the same setup myself - but dont you find the pan arm swings and hits the monitor though? It can&apos;t do full rolls? 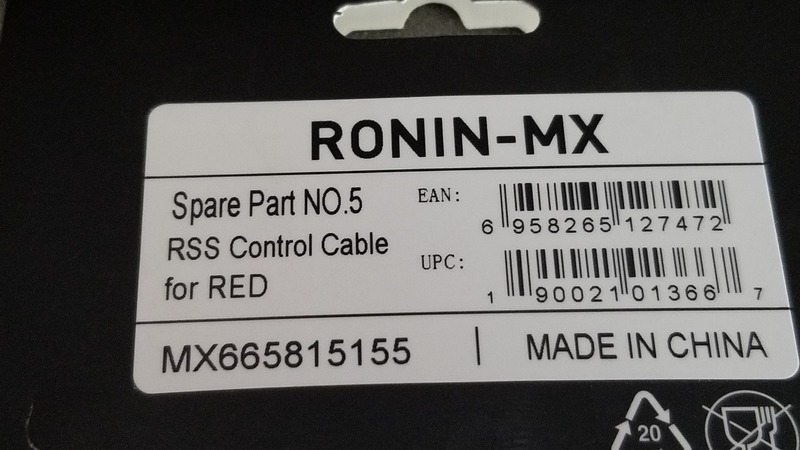 Wondering when accessories for the Ronin S will begin to be released. DJI Mindy, could you share any timelines. Specifically for cheeseplates, the top bracket, the follow focus motor for manual lenses, and the double handle. Not trying to be a pest, it&apos;s just that DJI does not give much help as far as information goes. Makes it tough to plan. Thanks. FYI had a friend cut up a cheeseplate from Smallrig which is working pretty well. ive got all of these parts accessories firm ware etc.. motor lights up.. focus wheel on ronin goes green.. it will auto cal but nothing else works... what are the steps once its all hooked up?? I am facing a similar situation. Firmware updated, connected and ronin s light is green. It will auto cal but no response turning the wheel. Any advice? 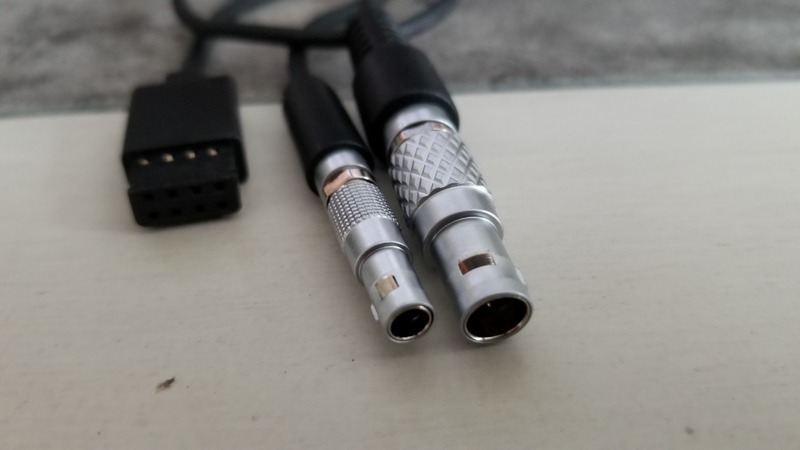 re #1: The cable you linked to on eBay (RSS to Lemo RED) is not the cable in the photo you shared. 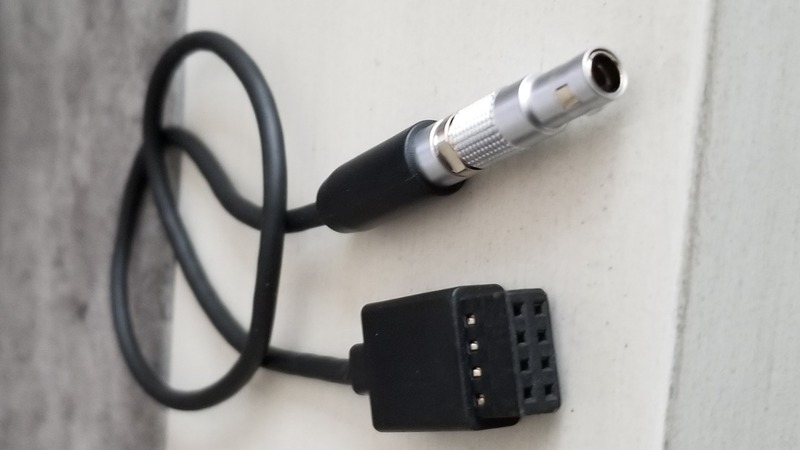 The cable on eBay is for the RSS port, while the cable in the photo converts 12V/2A power from the front 4-pin connector, not the side RSS connector. They are different cables and may or may not be correct. I&apos;m personally waiting to get a 4-pin (is this called CAN BUS??) to p-tap female cable made so I can use a Nucleus-M motor on the gimbal and have it powered by the base. 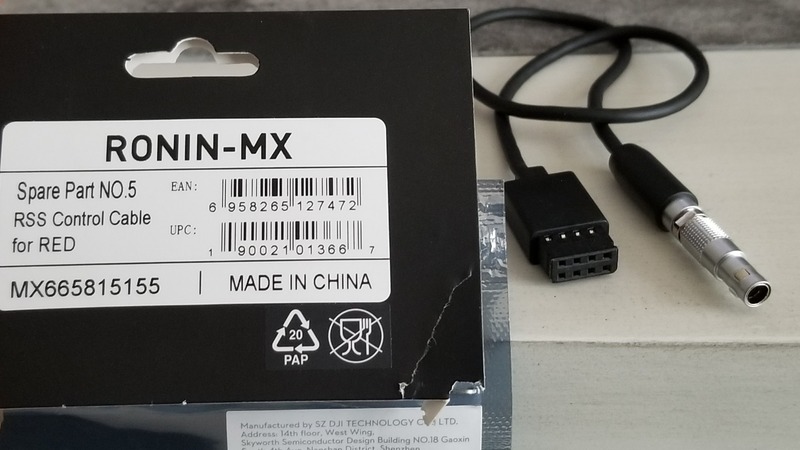 This cable does not exist yet. Hi. As @adamjrichman said, The cable @bob_angie linked doesn&apos;t works: the Lemo on this cable is way smaller than the Focus motor&apos;s ones. So I order spare part NO. 19 "MX666116052" remote start/stop-dji focus power and data cable. It looks like it should fit the Ronin S and the other end looks like it would fit on the DJI focus motor. I haven&apos;t tried it looking to see if bob_angie has more info on this or if anybody else has more info that can help. It looks like it should fit the Ronin S and the other end looks like it would fit on the DJI focus motor will this power the focus motor using the ronin s?? Here is a picture of part NO. 19 remote start/stop-dji focus power. The idea is to power the focus motor so that my assistant can pull manual focus threw the Dji wireless focus system. Please if anybody else has more information on this please post and share so we can all help each other. Wouldn&apos;t it be nice to have a carmount with integrated battery, which also would enable you to put it on a motorized slider. DJI, isn&apos;t this maybe a new idea for an accessory for the Ronin-S? 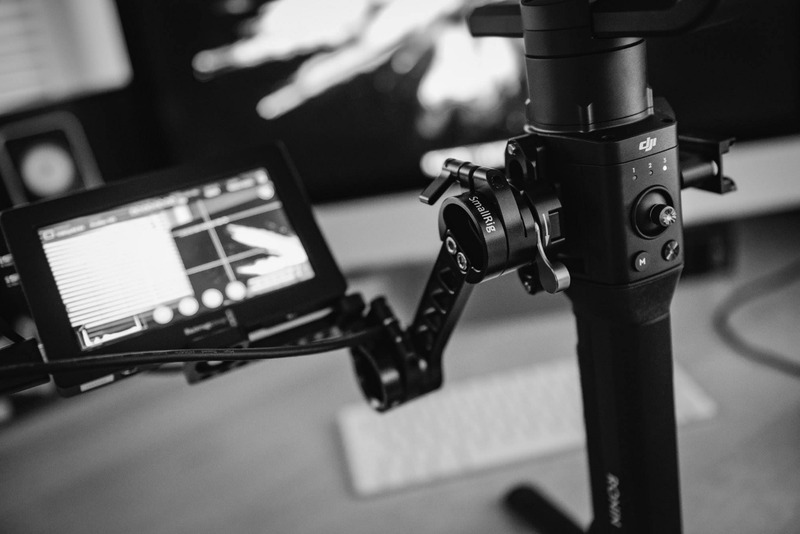 Combined with a motorized slider from DJI itself would be the perfect all-in-one set-up for EVERY filmmaker! Hook me up when you have a test model! The remote start/stop DJI focus power and data cable SHOULD work, but I didn&apos;t test it yet. The CAN bus on the Ronin S is 12v powered, so it would be enough to power the focus motor. Has anyone been able to A/B point calibrate? I feel like a fool for getting this far into the process and not being able to set the points for a Stills lens. And to tack on to that problem; I now have an issue that the motor won&apos;t respond to the S&apos;s focus wheel fully. It will auto-calibrate, light turns green, but then the S wheel doesn&apos;t control the motor. The Wireless Focus hand unit does control it however. And can change all settings like it was normally hooked up to DTap. So now, how do I switch control between wheels? And before anyone asks, I HAVE had it functioning normal. Shot a full day with a lightweight Epic-W and the S&apos;s Focus wheel and external Focus motor worked. I’ve been digging around looking for an external monitor solution for the Ronin-S. The smallrig 2222 is the best I’ve seen. Currently available for half price/preorder directly from them. I have updated DJI Focus motor, connected to Ronin-S with proper cable (remote start/stop-dji focus power and data cable), but focus wheel on Ronin-s still not communicate with Focus motor. If i push button twice for auto calibration, Focus Motor starts spin, but never stop. A-B calibration doesn&apos;t work, and if I try to spin focus wheel, motor isn&apos;t spinning. Do you have any idea, what to do? Well. DJI, I really don&apos;t understand, why DJI Focus Motor can not work with new Ronin-S. It is just because you want to get more money from users because they will need to buy new focus, which is actually still not in stock... Very disappointing, we really don&apos;t want to go this way, so "thank you". We are now selling brand new Ronin-S (of course with money loss), because it is useless and switching to Zhiyun. Can I know if there is an accessory to move the focus away from the arm? and maybe hook it near other handles? Very cool solutions in this thread. Thanks for sharing. Thanks for posting those pictures. Any chance you could measure some pins for me with a multi meter on those connectors? I have figured out how the cables are talking to the Ronin and I am trying to make my own ARRI cable. Looking at the cable end of the 2x4 pin cable starting on the left, pin one and going right to pin 4, and then starting again on the second row, 5-8. 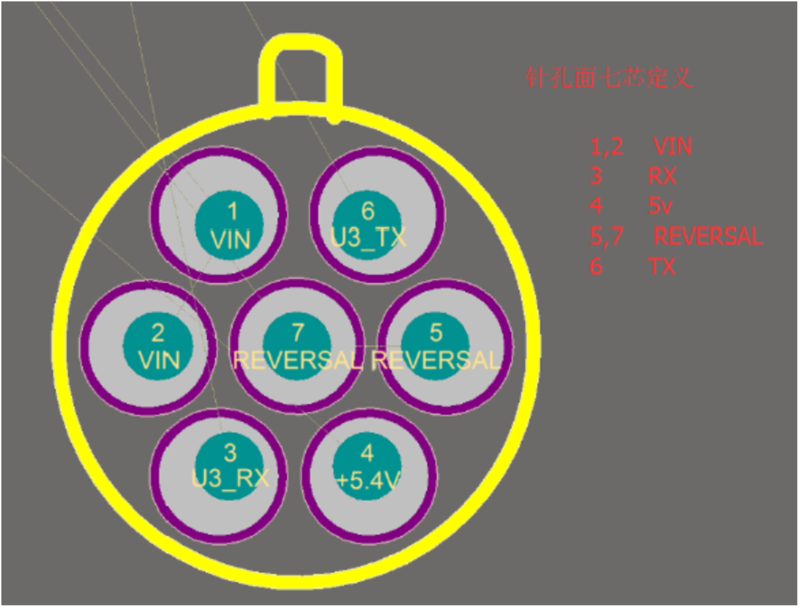 Pin 2 is ground and is shorted to either pin 1, 5, or 6. If you could do a continuity check between pin 2 and the other pins on the cable it would tell me which one is the Red cable and narrow things down for me. Pin 5 is used for all of the USB cables I tested for example. Hi - I&apos;m having this same exact issue right now with the Ronin-S and DJI Wireless Follow Focus System. Wondering if you&apos;ve found a solution? @DJI - Do you have any update on this? 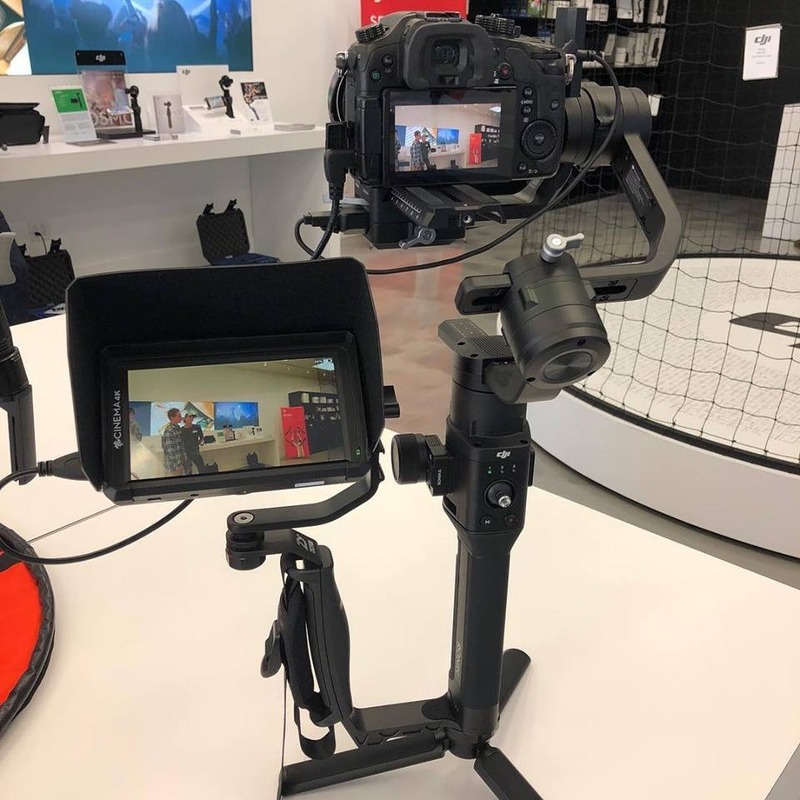 There are YouTube demonstrations everywhere with the original DJI Wireless Follow Focus Motor working with the Ronin-S. Why is there no documentation anywhere on this? Has there been a firmware update yet to address this?